Rep. Jason Chaffetz speaks during a hearing on Capitol Hill in 2016. Utah Rep. Jason Chaffetz, chairman of the House Oversight and Government Reform Committee, announced that he will not run for re-election in 2018 and will not seek any public office next year. Chaffetz wrote in a Facebook post on Wednesday morning, "I am healthy. I am confident I would continue to be re-elected by large margins. I have the full support of Speaker Ryan to continue as Chairman of the Oversight and Government Reform Committee. That said, I have made a personal decision to return to the private sector." As oversight chairman, Chaffetz led investigations into the Secret Service and Planned Parenthood in recent years. He has faced pressure from protesters in his home district and federal watchdogs for not pursuing investigations into the Trump administration more forcefully. Chaffetz told NPR's Morning Edition in February that his committee was concerned with possible mishandling of classified information when Trump was apparently briefed on a North Korean missile test at his Mar-a-Lago club in Florida while dining with the Japanese prime minister. But Chaffetz said the idea that Trump may be profiting from his office is "ridiculous." Additionally, Chaffetz said, "The president is exempt from the conflict of interest laws. And a lot of people who for instance wanted to see his tax returns — I went on national news multiple times saying I thought Donald Trump as a candidate should have released his tax returns. But it's not required by law." Office of Government Ethics Director Walter Shaub Jr. spoke to NPR on Monday and called on Chaffetz to do more. The Utah Republican has "authority to investigate these things and compel responses, so hopefully we'll see some action from him," Shaub said. Chaffetz faced more than 1,000 protesters at a town hall in February in his Utah district. 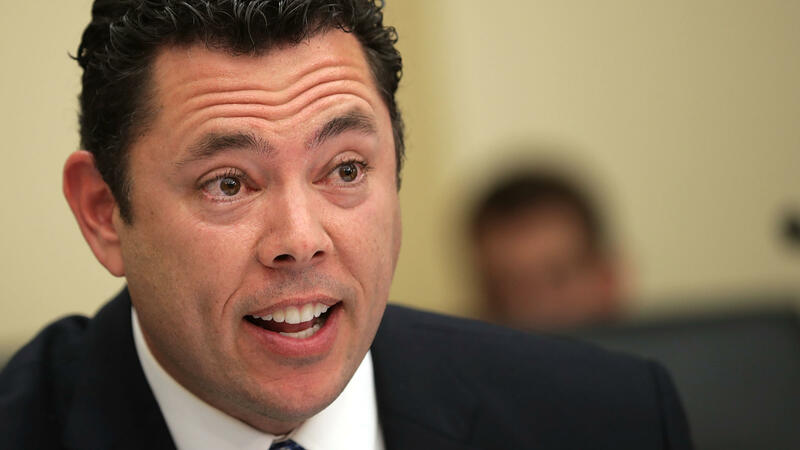 Most of the ire was about Trump, and Chaffetz said he would not use his post as oversight chairman to go on a "fishing expedition" against the administration. He did send a letter to the Office of Government Ethics after White House adviser Kellyanne Conway endorsed Ivanka Trump's retail brand during a cable news interview. "That is absolutely wrong, wrong, wrong. It is over the top," Chaffetz said to reporters at the time. Chaffetz has represented Utah in the House of Representatives since 2009, after he defeated incumbent Rep. Chris Cannon for the GOP nomination. Utah Republican candidates are chosen by state delegates, not through a traditional primary vote. Chaffetz proudly refused to use campaign funds to feed state delegates, as is traditional in the process of currying favor. In 2015, he launched a bid for House speaker after Rep. John Boehner resigned from Congress. Paul Ryan was eventually elected to the post after a tumultuous process. Chaffetz had previously served as chief of staff to former Utah Gov. Jon Huntsman. He played on the football team at Brigham Young University, a school where he converted to both the Mormon faith and the GOP. Chaffetz was raised Jewish and had campaigned for Democrat Michael Dukakis in the 1988 presidential campaign. While Chaffetz left unclear what his future in public life might be, he could run for governor of Utah in 2020. Leaving Washington at the end of 2018 would be seen as a savvy move to spend more time in his home state, though Chaffetz has said simply he is returning to private life when his term expires next year. When he was asked about the 2020 governor's race in an interview with The Atlantic last month, Chaffetz joked he would "definitely maybe" run.